There is an ontogenetic increase in the time that garter snakes (Thamnophis s. sirtalis) can maintain maximum activity at 25°C. Newborn snakes are exhausted by 3–5 min of activity while adults can be active for 20–25 min. The increased endurance of adult snakes results from ontogenetic increases in both aerobic and anaerobic energy generation. At rest juvenile and adult snakes have the same whole-body lactic acid concentrations, but at exhaustion adult lactic acid concentrations are 1.5 times those of juveniles. This increase in anaerobic energy production accounts for part of the endurance of adult snakes, but increased aerobic metabolism appears to be more important. 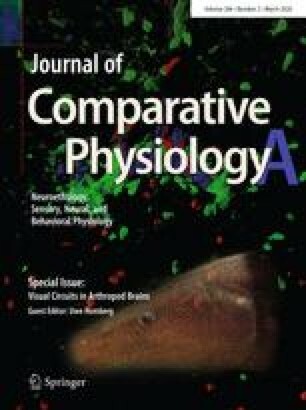 Among the mechanisms increasing aerobic metabolism are more effective pulmonary ventilation and a 3-fold ontogenetic increase in blood oxygen capacity. The rapid exhaustion of small garter snakes probably limits the microhabitats they can occupy and the sorts of hunting methods they can employ. Small garter snakes feed only on small prey that are easily subdued. There is an ontogenetic increase in the relative size of prey eaten by garter snakes that parallels the ontogenetic increase in endurance. Adult feeding habits are adopted at the same body size at which adult blood oxygen capacity and endurance are attained.